So, there’s a very quotable person called Homer. Heard of him? No, not Homer Simpson but good try. 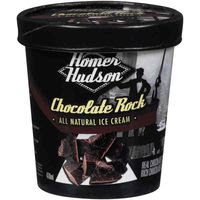 I actually mean Homer Hudson, the ice cream maker. On every Homer Hudson container, they set out the 2 rules for retention. They mean customer retention, of course. "How do we ensure our customers keep coming back for more?" But the same 2 rules apply to employee retention. Or boyfriend retention. Wife retention. Member retention. Fan retention. Rule #1: Find out what they like. Rule # 2: Give them a lot of it. We’re not in the ice cream business but we sure are in the "finding out what employees want" business. How do you find out what your staff want to get great employee engagement results? If you Subscribe to Retention Partners you will have access to up and coming Webinars.